Samurai warriors relied on the katana as their weapon of choice in battle. 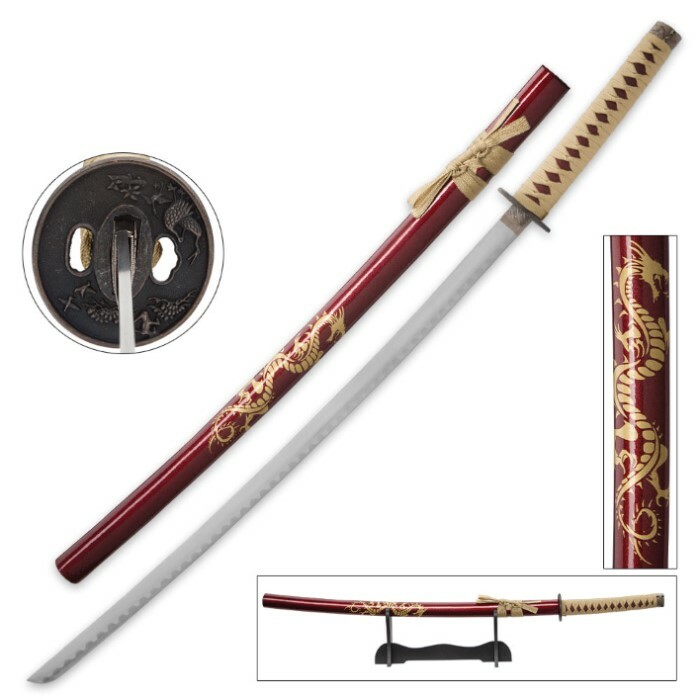 The Maroon Dragon Katana is a beautiful replica of this important weapon, featuring a dragon and water motif to pay homage to the dragon’s role as ruler over watery places. 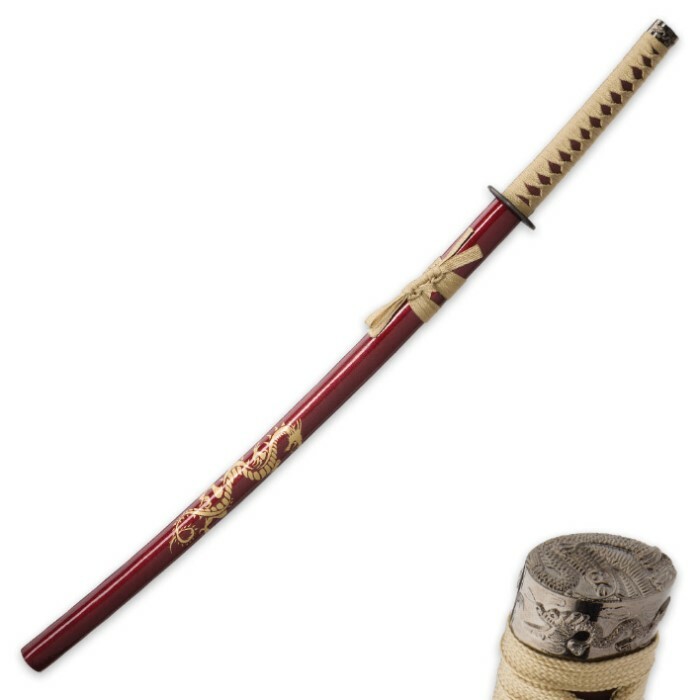 It has a burgundy painted wooden handle wrapped in tan cord to complement the burgundy lacquered sheath with its golden dragon design and the black metal alloy tsuba has a stork and water design. 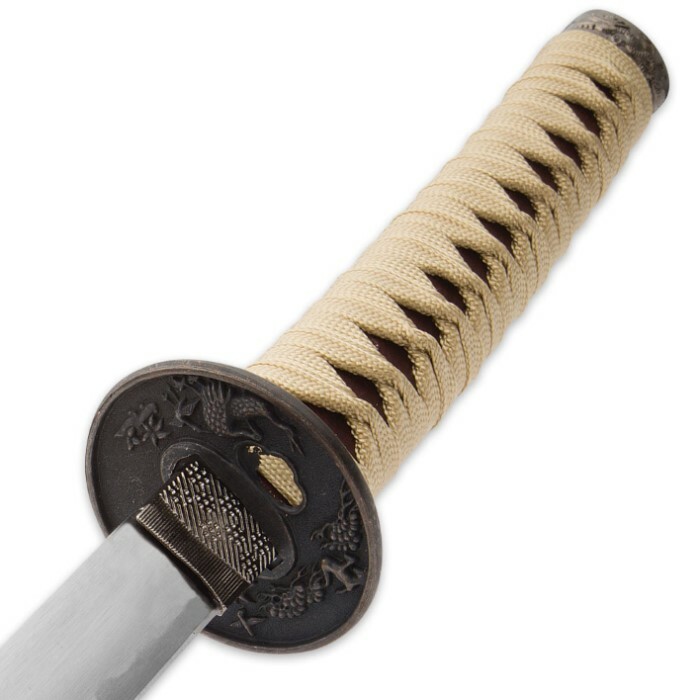 The 27" blade is of rust-resistant stainless steel with a display edge. A wooden display stand is included to hold the replica display weapon.